What topics do you discuss in an interview on board a cruise ship with a critically acclaimed chef that owns six successful restaurants and will soon open his seventh, was named a Best Chef Northeast (2001) by the James Beard Foundation, has won Iron Chef, worked with some of the most famous chefs in the world and is the recipient of the 2010 Chefs Rising Stars Mentor Award for his commitment to inspire and teach the next generation of chefs? You talk about travel, restaurants, and tracking down some of the best markets and hidden food gems in the Mediterranean. 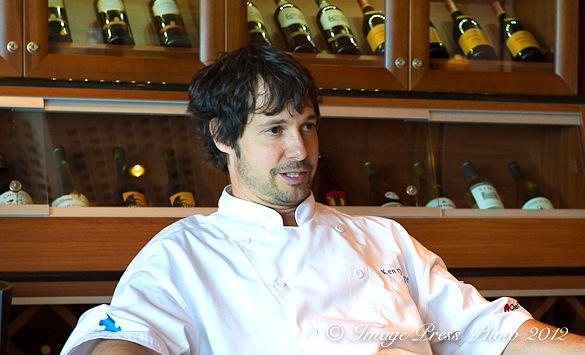 Ken Oringer, chef and owner of Clio, Uni, Toro, La Verdad, and Coppa in Boston and Earth in Kennebunkport, Maine was guest chef on board Holland America’s Nieuw Amsterdam Mediterranean Empires cruise in June. Arriving on board with his family several days after our departure from Venice, following an elaborate 15 year anniversary celebration at Clio, his highly acclaimed fine dining establishment in Boston, Oringer was also awaiting news about the fate of his Boston Celtics who were in the NBA Finals (they didn’t win). While two cooking demonstrations were scheduled on board the ship for Chef Oringer, this cruise was also a family vacation and a quick break before heading back to Boston to focus on another new restaurant to add to his empire. 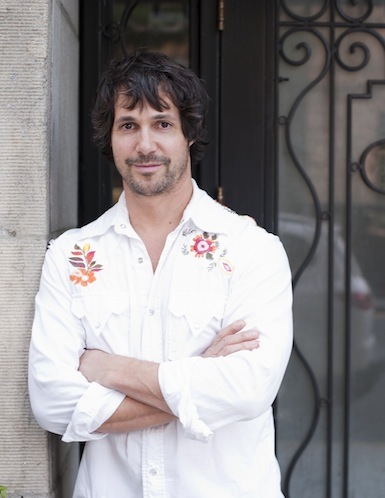 Oringer will be opening a second Toro (his Barcelona-style tapas restaurant) in New York City. Celebrating Clio’s 15th anniversary in style, Oringer invited 15 former cooks (many who have become celebrated chefs in their own right) back to the restaurant to prepare 15 courses for a four-hour feast with 100 guests, including good friend and fellow Boston chef, Ming Tsai and partner/chef of Coppa, Jamie Bissonette. 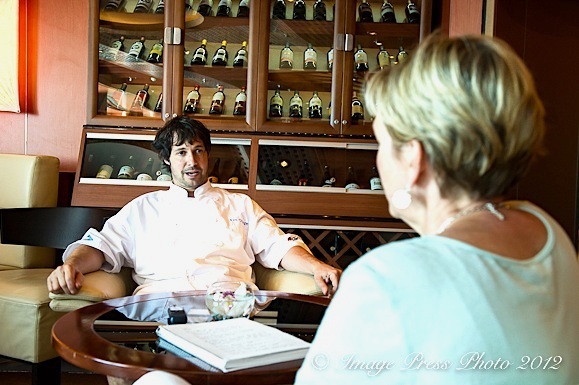 Oringer’s favorite pastime and inspiration for his innovative dishes and restaurant concepts is travel and he travels extensively. His travels influence not only the food he prepares at his restaurants but his business ventures as well. Working with Ferran Adrià (chef/owner of the world famous and top rated restaurant, El Bulli, in Catalonia, Spain) 14 years ago was the motivating force in creating Toro. “Tapas were new then. There were no great tapas in the United States at that time. I love the social aspects of that style of dining.” Adrià closed El Bulli last year, after 25 years, in order to move to New York, but the impact of his legendary restaurant and its influence on so many chefs remains. Three years ago, when we traveled to Spain, the tapas in Barcelona were unlike anything we had experienced in this country. The trend appears to be expanding in the United States as we have recently seen a few authentic tapas restaurants open with menus that closely resemble the style of tapas we found in Spain. Love your interviews. And on another note, you look better and better! I believe this is a restaurant my sister-in-law and brother raved about – wonderful interview!! Thank you. I am glad they enjoyed Clio. We are looking forward to dining there again next time we are in Boston. Oh, there he is again..and this time he’s made crab toast! It looks pretty, darn phenomenal! His dishes sound fantastic – another restaurant bucket list addition. Great writing and photographs – as always!